Auto Ref/Keratometer GRK-7000 is the equipment to provide the information of Spherical, Cylindrical and Axis while measuring the refraction of examinee’s eyes.Auto Ref/Keratometer GRK-7000 is the equipment that can measure the corneal curvature of examinee. In addition, it can measure PD (=distance in between pupils) and pupil size.CLBC (Contact Lens Base Curve) measurement is also a basic function of this product. 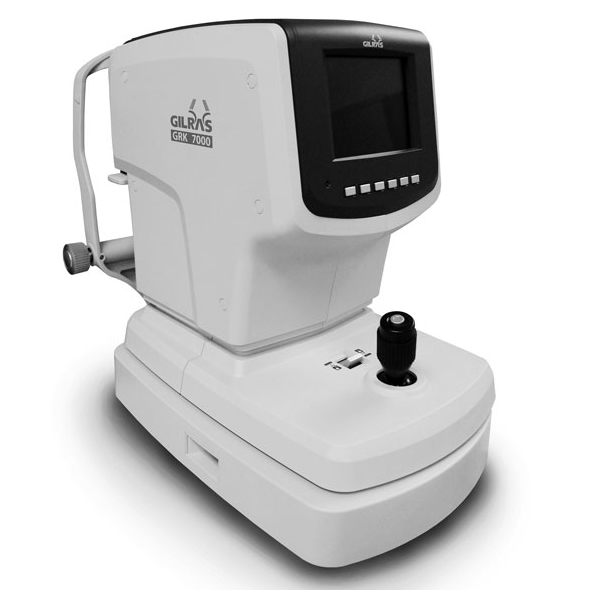 Click the button below to add the Gilras GRK-7000 Autorefractor Keratometer to your wish list.